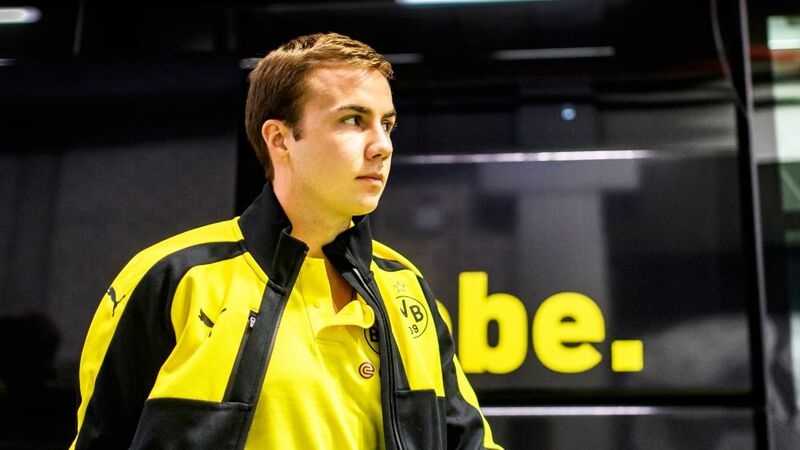 At the age of 24, Mario Götze is already a more decorated football than most players can ever dream of becoming. Have you signed Mario Götze up for your Official Fantasy Bundesliga XI? Don't delay: Matchday 17 is just days away! Playing for Germany’s two biggest clubs, he has won five league titles, three DFB Cups, amassed over 60 caps for his country and scored the goal that won Germany its fourth FIFA World Cup crown in 2014. In summer 2016, he left FC Bayern München to rejoin his former club Borussia Dortmund, and though he has settled in well in North-Rhein Westphalia, he admits that he has yet to meet the lofty expectations set by him and others. In a candid interview with German football daily kicker, the Memmingen native gave his thoughts on Dortmund’s season so far, his ambitions for the future and his personal development, on and off the pitch. We all imagined the season a bit differently. Up to the match against Bayern we were on course, but we let ourselves down against Frankfurt, Köln and Hoffenheim. We have a really good team with a lot of quality. If we’re able to play with more consistency in the second half of the season, then there’s a lot we can achieve. We’re still alive in the DFB Cup and the Champions League, although we’d have wanted a few more points in the league. Statistically speaking, there’s room for improvement. In terms of being ready to compete, I’m on the right path. I’ve only played 15 games and scored two goals, but there will be more! More goals and more assists. I have higher expectations of myself. We’re both fully aware of that, but people need to understand football’s a team sport and lots of factors contribute to how a season pans out, not just individuals. Andre and I won’t ever give less than 110 per cent when it comes to attitude and commitment; if we did, we’d be letting ourselves down. Looking only at what I’ve achieved in a sporting sense is only looking one side of the coin. I’ve played a lot of games and won a lot of trophies, and I’m still a young player. I’m proud and thankful that I’ve been able to experience what I have. If someone has a problem with me as a person, he should explain to me why. Can people not take me for who I am? I don’t think people’s image of me would change if I spoke to every single journalist after a game. Some people are introverted and others extroverted. I don’t mean to be distant or close with any [journalist]. I mean, I’m happy to do this interview! My arrival wasn’t universally welcomed but I think normality has returned now. I’m happy with that. The picture people have of me is an old one. I can’t always come on in a game and score a goal like in the World Cup final. Today’s football means running, intensity and hard work. I couldn’t care less about the glamour factor of my new position. If I can score more goals and make more assists playing this role, then we’re heading in the right direction. I’m taking on different roles now, not just going forward and scoring goals. Five people might have five different opinions on ‘the old Mario Götze’. I want to get away from the cliché of being a 19-year-old who plays football like he’s playing in the park. I’ve matured in the last few years. We met him with the Germany national team and it was a nice, relaxing time. I’m not totally sure he knew who I was, although I also thought he might give me penance for scoring against Argentina in the World Cup final (laughs). Thankfully the subject never came up.